From Aurora,US 50 West to LT. on SR 262 in Dillsboro to home on LT. on corner of Woods Ridge. Signs On! 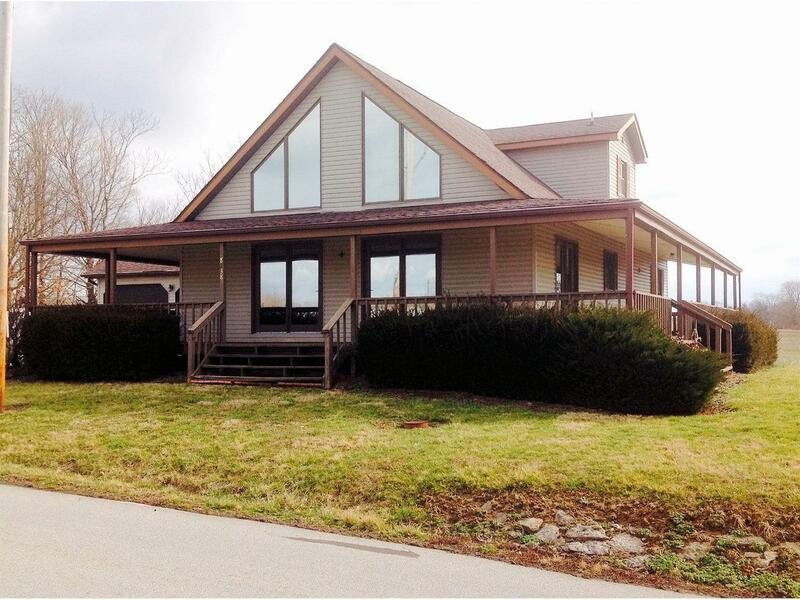 Country Accents!3BR, 3BA home w/ poss. 4th BR on nice 1 acre lot! Features over 3700 SQFT of living area, open floor plan with loft overlooking great room, hdwd flrs., equipped kit., lg. MBR w/ MBA, lg. brs, full fin. bsmt with walk -out, wrap around porch 2 car att. Gar. & 4 car det. Gar. w/ electric & loft storage, 16x32 in-ground pool & more!